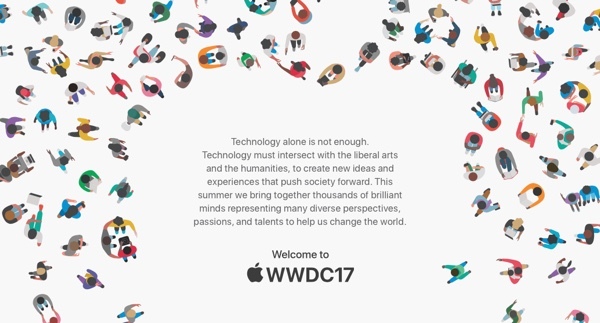 Apple has just announced WWDC 2017 (dubbed WWDC17) event dates, venue, and other registration details. Here’s everything you need to know. The 28th Worldwide Developers Conference will be held within minutes of the company’s new Spaceship campus, with the McEnery Convention Center in San Jose playing host, instead of the usual Moscone Center in San Francisco, to the biggest gathering of Apple developers on the planet. The conference begins on June 5th and runs through June 9th. Apple’s WWDC gives developers the chance to meet with and pick the brains of 1,000 of Apple’s engineers, with workshops covering everything announced during the big opening keynote and more throughout the event. Developers come from the world over to join their fellow app creators with the event undoubtedly the highlight of everyone’s calendar. Getting tickets for the conference can be hard work though, and numerous mini conferences and get-togethers also take place alongside the main event. Each year during WWDC, millions of talented developers around the world learn about Apple’s breakthrough platform technologies ranging from programming languages like Swift™ to breakthrough developer APIs like SiriKit™, HomeKit™, HealthKit™ and CarPlay®. These Apple technologies inspire developers to continue creating incredible experiences for every aspect of customers’ lives and improve the way they manage their smart homes, cars, health and more for over one billion active Apple devices. Developers interested in attending the Worldwide Developers Conference (WWDC 2017) can apply for tickets via the the developer.apple.com/wwdc/ website, with applications for lottery-based registration available this spring starting March 27th. Part of the big pull of WWDC is the opening keynote during which software and hardware is often announced for the first time, including the previews of what iOS 11, macOS 10.13, watchOS 4 and tvOS 11 will bring to the table later in the year. Initial builds of all operating systems are often made available for the first time during the event, too. I don’t care whether they are announcing iOS 11 or iOS 12. I just want a jailbreak. Thank you. I wish I could say more than that!